Never Turn Another Client Away. While other options can only offer a reduction, The Smooth System™ provides permanent removal of unwanted hair. Safe and effective for all, with no risk of skin damage or scarring. 100% Guaranteed. Safe for all skin tones and hair colors, The Smooth System™ offers permanent hair removal for otherwise neglected demographics. 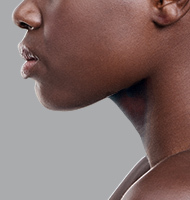 Dark skin, moles, and scars are safely and effectively treatable. Gray, red, blonde, and vellus hair (peach fuzz) are removed as easily as dark, coarse hair — unlike lasers, which only reduce dark hair. With consistent and reliable results, The Smooth System™ is ideal for medical conditions requiring permanent hair epilation. It is the only effective treatment for Pseudofolliculitis Barbae (razor bumps and ingrown hairs), and the perfect choice for sensitive areas like the face, neck, underarms, and bikini area.